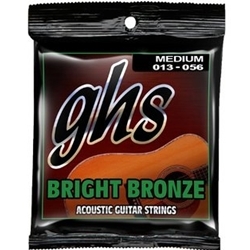 The GHS BB40M acoustic guitar strings are made from 80/20 copper zinc alloy. The unique core-to-cover ratio combined with the specially tempered alloy delivers a bright tone with exceptional feel. The perfect sound for all your guitar explosions. GHS has made high-quality strings since 1964.